As a custom academic writing service, 5HomeWork aims to alleviate some of the most common stresses and anxieties that students face every single year. Mounting pressures to deliver their assignments on time is simply unfeasible to many students, especially those with busy lifestyles and commitments to a tonne of extra curriculum activities. 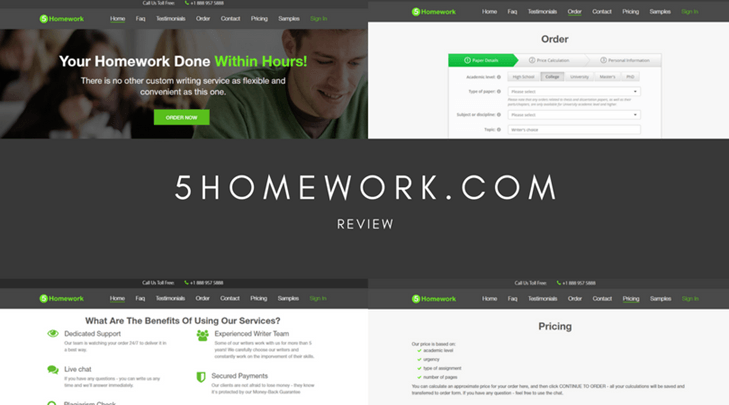 5HomeWork.com offer an average number of services. 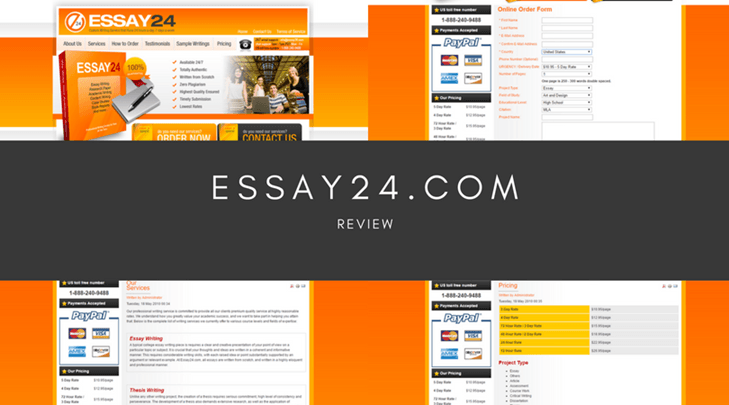 Students will be able to choose from a selection of common assignment types including essays, thesis, dissertations, research papers and book reports, to name a few. 5 Home Work then claims itself to be the most convenient and flexible custom writing service on the web, stating that all of their services produce original content, deliver the work on time and provide a secure payment system. However, there is a very limited number of deadline times to choose from. An average student order of a ten-page, university level essay with a 3-day deadline will set you back $230 on 5 HomeWork. 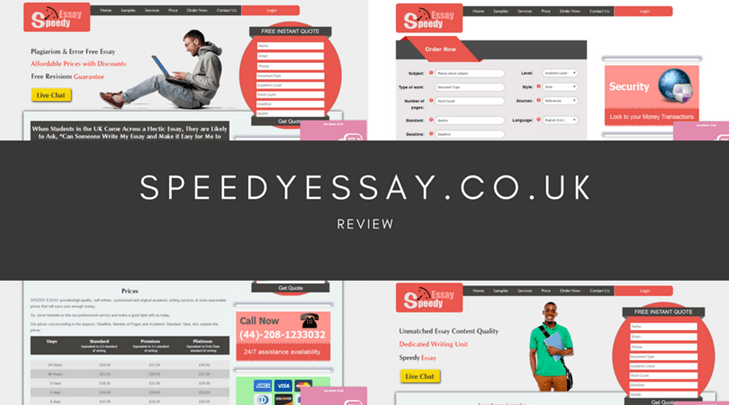 This is fairly expensive, especially when compared to some of the leading custom writing services and would definitely not be suitable for a student living on a tight budget or a student looking for a regular writing service. The testimonials page is no better. Despite having some shining reviews, there are no dates, no assignment type and no rating system, meaning these reviews could be decades-old and therefore have no credibility. This leads me to seriously doubt the credibility of the website. Searching online, I quickly discovered a collection of mixed reviews on the website. 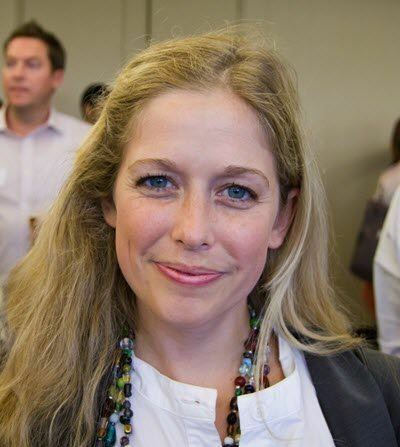 Some claim that the content they received was okay except a few errors whereas others described extremely poorly written content that was riddled with mistakes and was delivered after the requested deadline. There are a very limited number of ways you can contact the company. Heading over to the contact page, you’ll find a physical address, a map (for some strange reason), a toll-free phone number and a single email address. There is also a ‘live chat’ feature which allows you to send an email. Most of the leading sites offer a much better range of communication methods including an actual live chat and an email form, as well as dedicated emails for support, ordering and customer queries, something 5HomeWork doesn’t have. Despite an obviously well-invested in website, 5HomeWork.com fails to deliver what you would expect from a custom academic writing service. 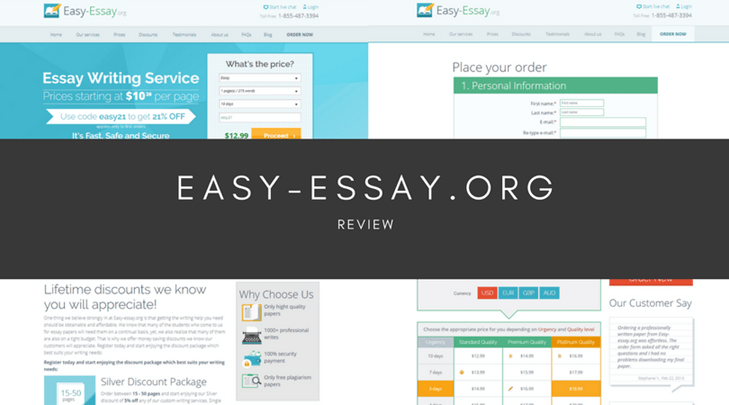 With high prices, inconsistent content quality and limited support options, students looking for a custom writing service today would be much better off taking their business elsewhere to a more reputable service. nice way to cheat the teacher, but don’t use 5HomeWork.com, they failed my deadline badly.